1 Autogramm, 1 Memorabilia Card, 1 Rookie Card und 3 weitere Insert Cards per Box ! Produktinformationen "2013/14 Panini Court Kings Basketball Hobby Box NBA"
Factory Sealed 2013/14 Panini Court Kings Basketball Hobby Box mit 1 Pack a 10 Cards per Pack. The return of one of the most artistic cardsets the hobby has ever seen! 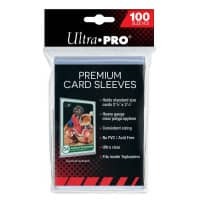 Look for beautiful renditions of the league's top rookies numbered as low as One of One! Find three unique hard-to-find inserts, including Legacies, Kings of Springfield and the return of Le Cinque Piu Belle! 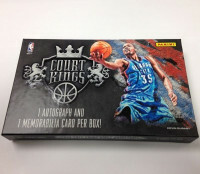 Seven different autograph inserts, including Court Kings Autographs featuring the past and present stars of the NBA! Five different memorabilia inserts with prime parallels, including Super Prime and Nameplate versions of the best of the 2013 NBA Draft class! Look for rare 5x7 box toppers signed by 25 of the NBA's all-time greats! IMPRESSIONIST INK: Find autographs of the NBA's most fierce competitors in Impressionist Ink, a masterpiece of a set featuring animated photography and vivid artistry! LE CINQUE PIU BELLE: Hold a miniature piece of art in your hand with the return of Le Cinque Piu Belle featuring one of the NBA's shooting stars! Think you can find all five versions? LEGACIES: Court Kings celebrates players that have spent their entire career with one franchise. With 13 seasons in San Antonio, Parker's legacy is on display in this hard-to-find insert! ART NOUVEAU: Pick up a letter from a 2013 rookie's jersey in this super prime insert, numbered to the letters in the player's last name! ROOKIE STYLES: Look for four different styles of this year's rookie class, including Orlando's Victor Oladipo! PERFORMANCE ART: Put a date to a jumbo swatch with Performance Art, themed around the game these star players wore the specific jersey! 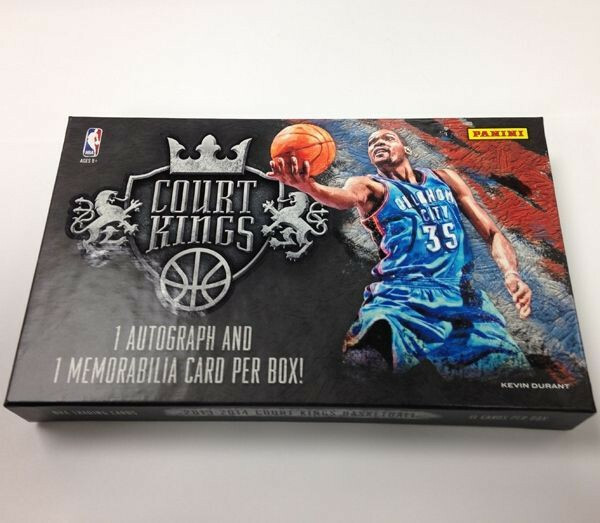 Weiterführende Links zu "2013/14 Panini Court Kings Basketball Hobby Box NBA"
Fanbewertungen für "2013/14 Panini Court Kings Basketball Hobby Box NBA"